The landmark site will provide over 60,000 sq ft of manufacturing and office space for Morris Site Machinery to relocate from its current site just three miles away at Four Ashes, into purpose-built premises at i54. The site machinery business is renowned for its mobile lighting towers, generators, welders, pumps and pressure washers which it sells worldwide. Recent years have seen significant growth in its success overseas, recognised by The Sunday Times HSBC International Track 200 which ranks Britain’s mid-market private companies with the fastest-growing international sales. For the second year running, Morris Site Machinery has been hailed within the league table which has featured star alumni such as Aston Martin. “This marks an exciting milestone in our expansion plans for the business, securing such a prime location in terms of profile and geography. With our sales and service hubs and customers across the UK, this sought-after site is an ideal central location offering ease of access to the country’s motorway network. 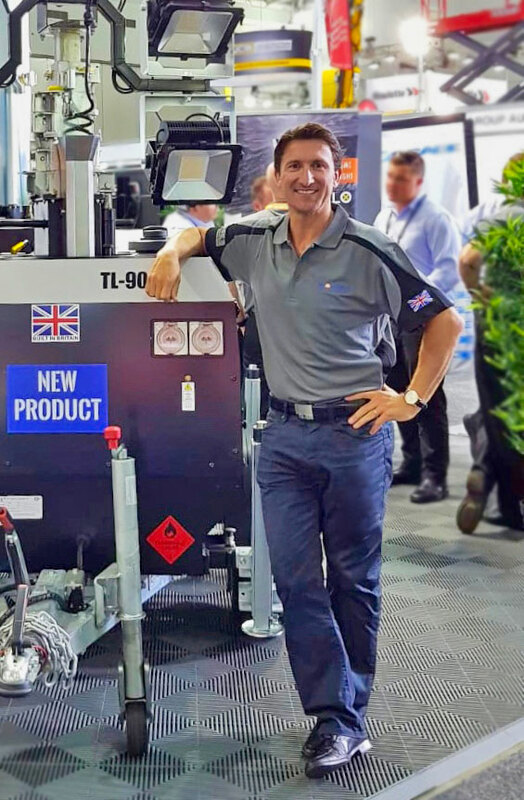 Chris continued: “The past few years have seen us bring numerous new product innovations to the market and this strategic move allows us to future-proof and continue to expand our site machinery operation. “It feels particularly apposite investing in i54 as our family-run business, based nearby in Shrewsbury, is this year marking its 150th year of successful trading and investment here in the Midlands” Chris added. Planning has been submitted for the development and the deal was negotiated with Bulleys on behalf of Staffordshire County Council and City of Wolverhampton Council. Staffordshire County Council’s economic growth leader Mark Winnington said: “Morris Site Machinery has seen significant expansion in recent years with growing global sales and we are pleased the company has chosen i54 South Staffordshire as its new base. “This business is the perfect fit for i54 South Staffordshire – a Midlands engineering and manufacturing firm that is clearly going from strength to strength. We are sure the prime positioning of the site and accessibility onto the motorway network will support future growth. Councillor John Reynolds, City of Wolverhampton Council Cabinet Member for City Economy, said: “We are delighted Morris Site Machinery has chosen i54 as its new home to expand their thriving business. “Our joint investment in i54 has already secured hundreds of millions of pounds of further investment and brought thousands of jobs to the area and this latest announcement means further investment in our city and, most importantly, more jobs.